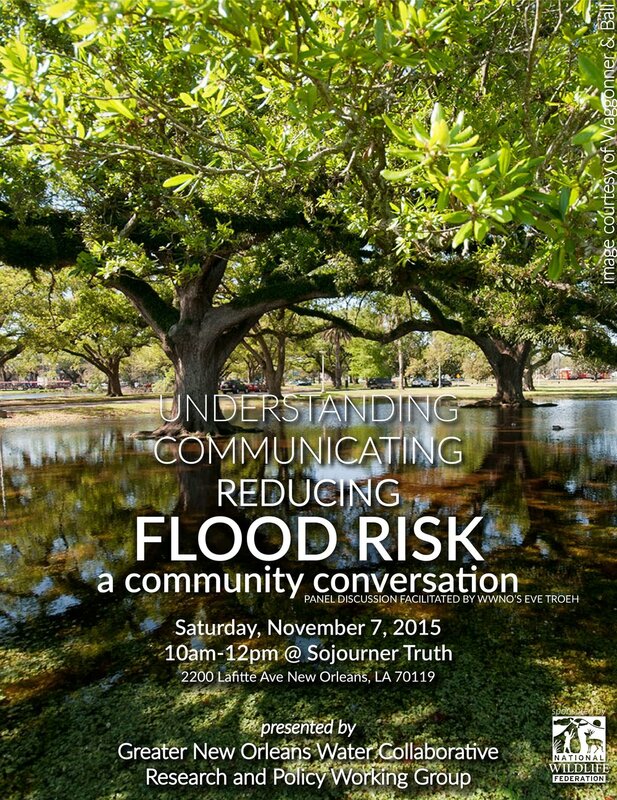 Join us for a community conversation about flood risk on Saturday, November 7 at Sojourner Truth Neighborhood Center, 2200 Lafitte Avenue. Participants will gain a better understanding of flood risk through interactive exhibits, including the Coastal Protection and Restoration Authority Flood Risk and Resilience Viewer and LSU AgCenter’s LA Floodmap application. We will learn from each other by sharing personal experiences. Then we’ll have an open discussion about how to reduce risk in our neighborhoods. A light breakfast will be provided. RSVP here. This event is part of the month-long series WATERFRONT 2015: Life at the Water’s Edge.